Arizona Opera, now in its 42nd Season, produces five grand operas throughout the state of Arizona each season, and is one of the only companies in the United States that performs in two cities. Arizona Opera, originally the Tucson Opera Company, was founded in 1971 by a dedicated group of opera enthusiasts. Its inaugural season featured two performances of Rossini's The Barber of Seville in Tucson and by the 1976 - 1977 season Arizona Opera was performing complete seasons in both Tucson and Phoenix. Since its inaugural year, Arizona Opera has produced over 170 fully-staged operas and concerts. 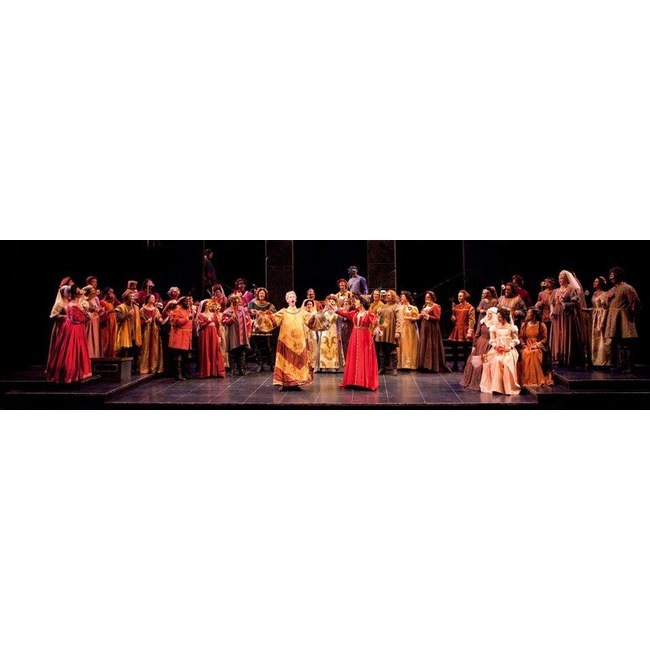 The company's artistic history is rich with a blend of opera's traditional repertoire featuring baroque, bel canto, and verismo works, turn-of-the-century masterpieces, operettas, and American operas. Arizona Opera has also presented Wagner's complete Ring Cycle twice, a feat that has only been accomplished in North America by four other companies. On stage, Arizona Opera presents artists of both international stature and emerging talent, and each season balances debut artists and the return of favorite performers. Arizona's musical talent is showcased in its acclaimed orchestra and chorus. The Arizona Opera Orchestra, established in 2000, consists of members of symphony orchestras from Flagstaff, Phoenix, and Tucson, as well as faculty from local universities, and the chorus is comprised of Phoenix and Tucson community members and students from local universities. To produce and promote opera as a form of cultural enrichment, enlightenment and entertainment at the highest level, and to expand knowledge of, exposure to and passion for this unique and inspiring art form throughout the state of Arizona.